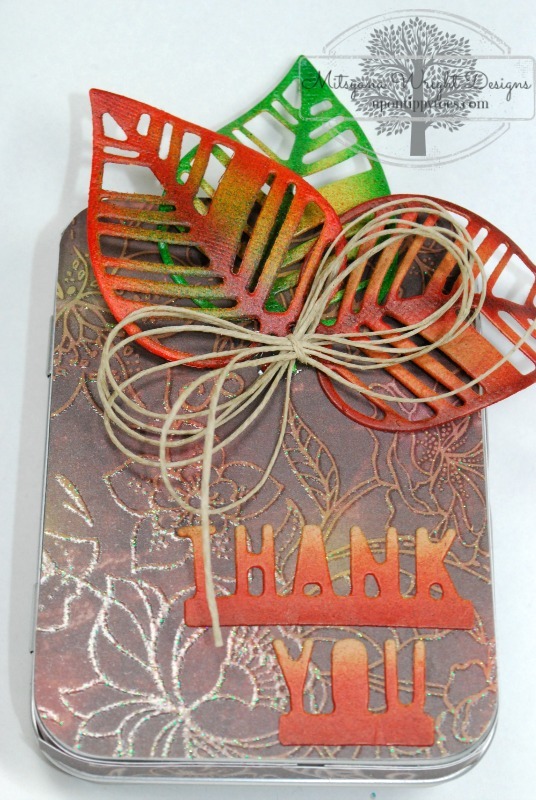 Hi, Crafty Friends!! Can you believe that it is FALL already?? Time is flying by so fast this year. I wasn't even ready to say goodbye to summer... but it came and left in the blink of an eye! Well, that just means were are just that much closer into the holiday season. Bring on the sweater wearing weather!! 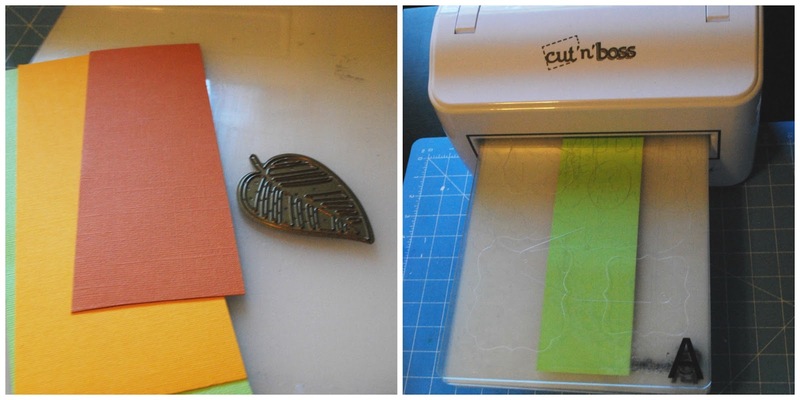 Today I have a fall themed project for you! 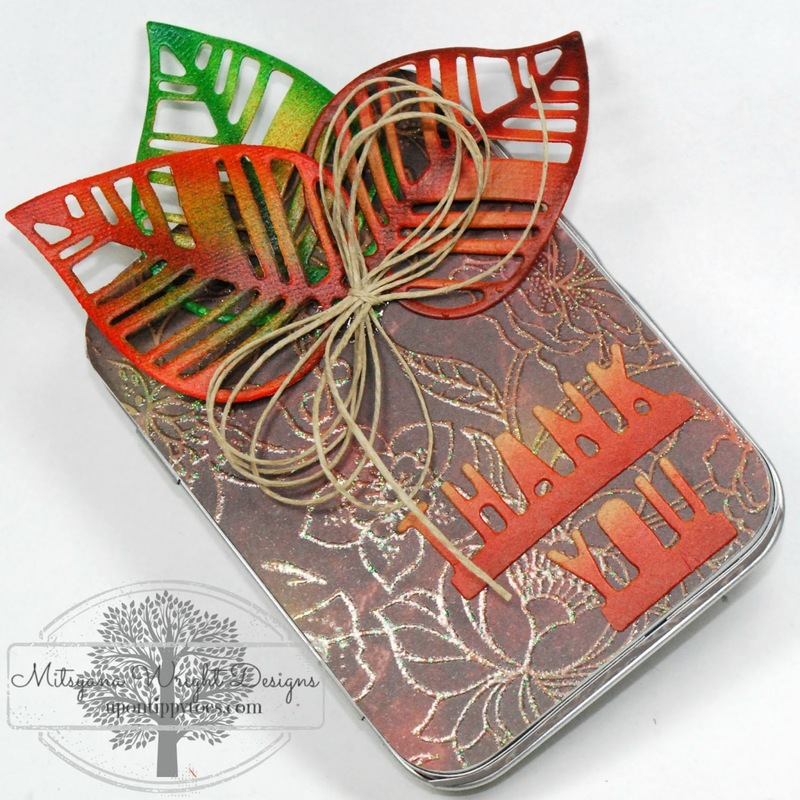 This awesome little favor tin that can also double as an ATC holder!! You get two-fer today! Yay!! First, I flipped my tin upside down onto the back side of my paper and traced all around the tin. I used my tin as a template. Then I used my scissors to cut out the traced shape. Next, I cut out 4 strips 1/4"wide by 4 inches long. I ran my 1/4" strips through my Xyron "X" (aka 1.5" Sticker Maker) and ran my bigger rectangular piece through my 3 " sticker maker. Once my pieces were through I peeled them and stuck them directly onto my tin. The main panel went on top and the 1/4" strips were added just above the lip of the lid. 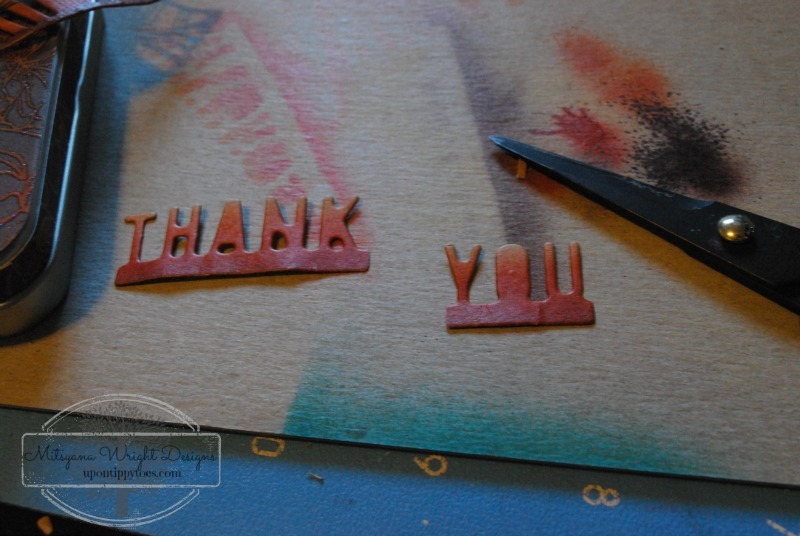 I also used the Thank You die from the Thankful set. Then I ebrushed it, and trimmed and separated the words. 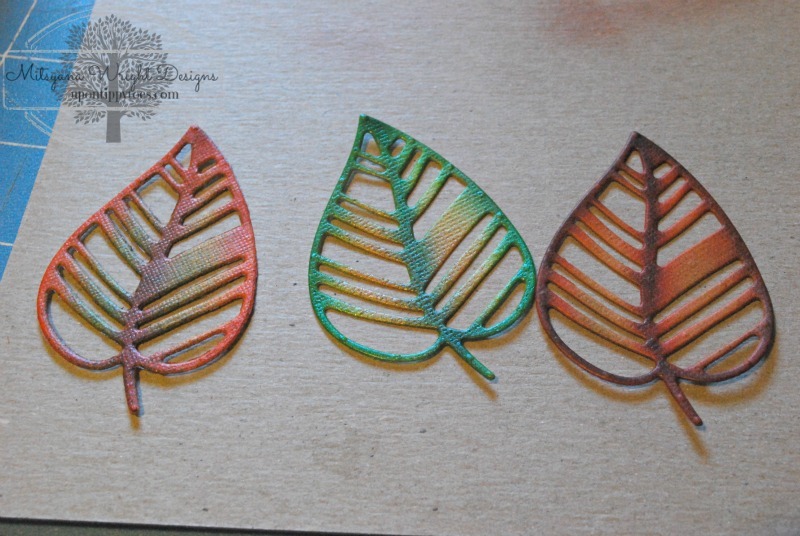 Finally I glued ally pieces onto my tine using 3D Laquer. I also tied and attached a hemp twine bow to the stems of the leaves, securing it with more 3D Laquer. You can really see the bends and curves in the pics below. 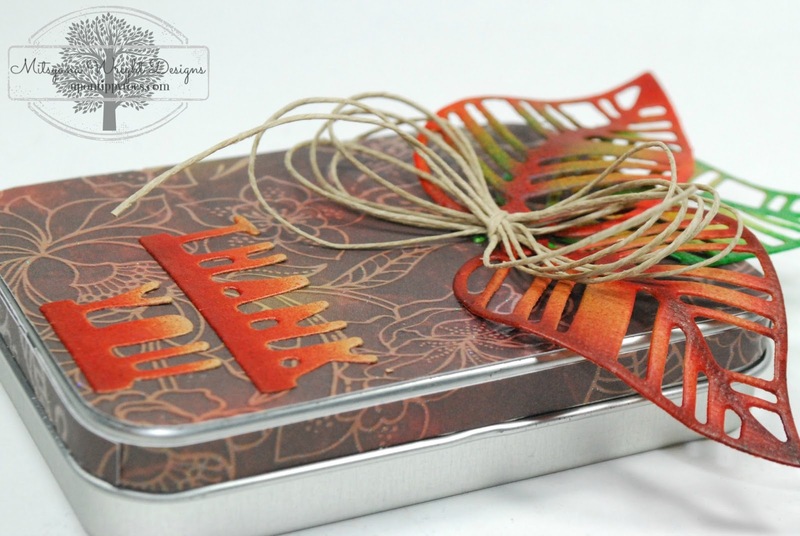 I absolutely LOVE how this tin turned out! These will be great asThanksgiving favors!